The Inflatable LongBoard SUP Series has been completely redesigned and transformed! Now you can sit, stand, surf, tour, and perform yoga on these wonderful SUPs! TheLongBoard SUPs are now made with 6" thick drop stitch material to increase buoyancy, rigidity, and stability. We've also added 4" nose/entry rocker followed by a slight continuous board rocker and finish/exit with a 2" tail rocker! 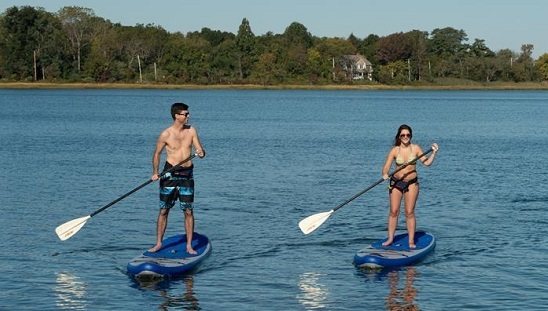 Review a selection of inflatable stand up paddle boards and long boards below.